Ferial Youakim recounts her trials and tribulations from when she was just a child from the Middle East all the way through her time as an image consultant. Through her experiences, she discovers her true self-value and explains how her readers can unlock it too. Born in a refugee camp and growing up in a war-torn city, Ferial Youakim has a story that needs to be told more than ever. Ferial’s story humanizes the term “refugee” and tells the positive story of her incredible journey in pursuit of happiness. Now, an internationally known image consultant, Ferial reveals for the first time the tragedy that shaped her life in a refugee camp. She would overcome a lack of education, poor self-esteem, and a crippling fear of public speaking and create a global company. With the love and support of her family and faith, her spirit and passion is to help people live the life they deserve and realize that beauty is more than just a word. The reader will take a look inside Ferial’s life and see stories of herself that she has never revealed in such detail, and can expect to laugh, cry and find the connection that we all share. The reader will learn about her early years growing up in a refugee camp and how she was determined to make the most of each day. Even though life was sometimes bleak, she had family, and that was enough. Her father was the one who inspired her to get through some of the toughest days that they had faced together, but she lost him when she least expected it. With the death of her father and being bullied on a regular basis, she was almost brought to her breaking point. When hoped seemed to be nothing more than a faded memory, she was able to find the will to pursue her dreams. 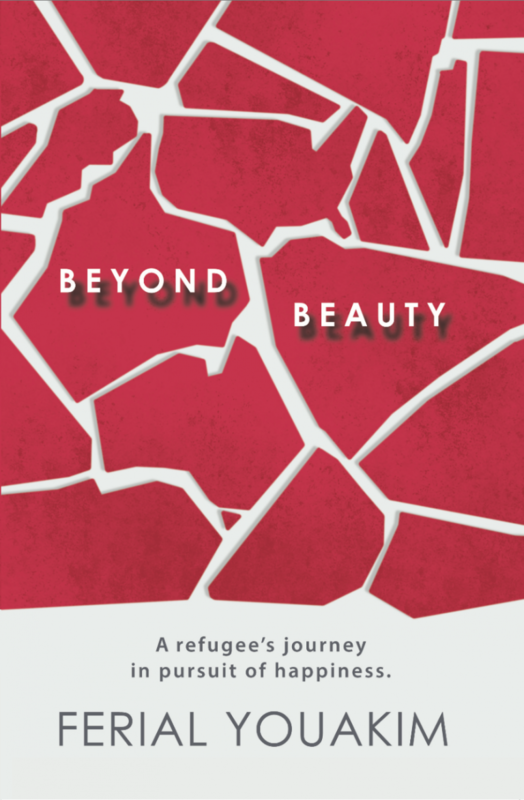 In the book, “Beyond Beauty,” Ferial recounts her trials and tribulations from when she was just a child from the Middle East all the way through her time as a successful image consultant. Through her experiences, she discovers her true self-value and touches the heart of every reader. Every person can relate to this heroic memoir of self-discovering. The story touches on the extremes of emotion and explores the resilience of the human spirit. Although the story focuses on Ferial’s life and the challenges that she had faced, the lessons that she had learned apply to people from all backgrounds and walks of life. Even though we can feel fragile and insignificant at times, you would be amazed at how much strength we all have if we can find a way to channel it. Ferial had to find something bigger than herself to summon the motivation to push onward, which is when she noticed that others looked up to her for guidance and support. She never asked for it, but she knew that she could not let them down. If she could only communicate one message to the world, it would be that we all need to see the value in ourselves and to find a way to focus on our goals, dreams, and ambitions. She is confident that her story can encourage people to discover the strength that they never knew they had, changing their live in a positive way. Hi, my name is Ferial, nice to meet you! I am the President Elect of AICI and the founder of ByFerial! © Copyright 2019. ByFERIAL. All Rights Reserved. Join 100+ Amazing Entrepreneurs who took the risk and succeeded! Here is your chance to be part of the exclusive Empower Group!